If you had these experiences, or you are just curious about your past lives - you can have a past life regression therapy session and discover your past lives! Past Life Regression (PLR) is a form of hypnotherapy similar to guided meditation. It is done in light trance, you are guided into a state of pleasant relaxation and concentration on your subconscious memories. Most likely you will be awake and self-aware during the session, but in "body asleep, mind awake" state, very comfortable and relaxed, and experience past life scenes as a daydream. You can experience them 'in past life body" or from a position of an observer, like a movie. You will feel emotions, but not physical sensations. I do my best to make sessions as pleasant and interesting as possible, taking you through many happy scenes in past lives (childhood memories, weddings, parties, celebrations, professional or personal successes etc) - and I take you through unhappy scenes very quickly, just to understand the life story and find traumas which need to be healed. After you exit the past life body we do healing on past life carryovers, - if the life you saw had traumatic events. We also find out what spiritual lessons you learned in that life, and what talents and skills you acquired. Past life regression can help you to eliminate fear of death as you will experience your past lives and transitions into Spiritual Existence, and you'll be able see beyond doubt that you are an immortal soul on reincarnation journey. It can also help to heal fears and phobias rooted in past lives, and occasionally even get rid of physical illnesses connected with past life traumas. You can accelerate learning skills, which you already had in past lives, recognize your loved ones whom you met before and understand relationship issues rooted in past life karma. If you are visiting or plan to visit our beautiful city and have a strong feeling that you lived here before - we can also explore your past life in New Orleans, and if it turns out that you indeed lived here before - it would make your visit much more memorable! And if you love to travel - you can use past life regression to find the most interesting and happy past lives, and plan you future vacations to these places. You can also use PLR for creative inspiration in arts or writing, motivation to improve your lifestyle or loose weight, get new hobbies, and set up new goals for yourself. In 2 hour session we go through 1-3 past lives, and you can have up to 5 questions/requests - for example lives with your spouse or significant other, lives related to your current profession or course of studies, lives in particular culture or city etc. If you are visiting New Orleans - I recommend choosing 2 hour session as it does not require much "homework" and will not take very long, you also might be able to book 2 hour session on a short notice. 4 hour sessions are 'expanded" PLR, we can can visit many past lives and journey into Afterlife, meet your Spirit Guides or Guardian Angels, visit Akashic Library (which holds records of all lives ever lived), and even go to other planets (if you ever had ET lives). You can visit Healing Places in Spirit world and work with Spirit Healers. We can also connect with Higher Self and even The Source for Healing and Guidance. For these sessions you can have up to 20 questions - including questions related to current life, life purpose, relationships or work guidance, healing requests etc. You have to book 4 hour session at least a week in advance, as you will need time to contemplate you questions and requests. I need to get you questions a day or two before the scheduled session in an email - so I can look through them and plan the session. Before any session - do not drink coffee or anything with caffeine or any other stimulant for about 2 hours before the session (longer for 4 hour sessions as they requires deeper trance state) . Do not drink alcohol or use recreational drugs on the day of the session, and avoid heavy drinking the night before. Have a good night sleep, and come with an opened mind! ​Irina "Nola" Filatova is a Russian born hypnotherapist. She is a graduate of St.Petersburg, Russia, State University and worked as a psychologist in St.Petersburg, till she moved to USA in 1990. She graduated from Hypnotherapy Academy of America in Santa Fe in 2012, and is a certified hypnotherpist (CHt). She is bilingual and conducts sessions in English or Russian. 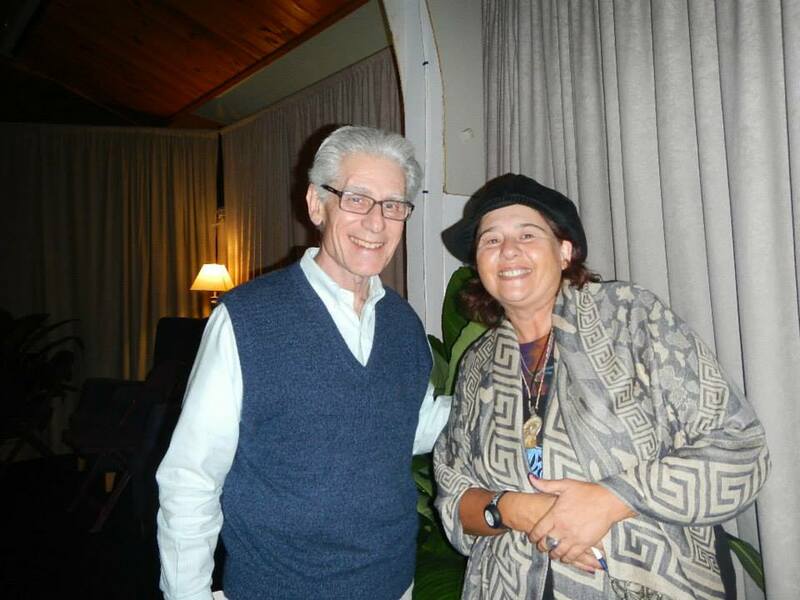 She studied past life regression with Dr. Brian Weiss - world famous author of "Many Lives, Many Masters" and is certified to practice his method. She also studied with Dolores Cannon, who wrote 19 books on past life regression, and created Quantum Healing Hypnotherapy - method allowing for healing of emotional and physical ailments through past life regression and communication with Higher Self or Source. Irina also took several online classes on other PLR methods, and read almost every book ever written on the subject of past lives and afterlife and uses many different approaches depending on the needs and interests of the client. If you are visiting New Orleans and want to have a session ASAP - you can call 504-473-3581. If I am available - you can have 2 hour session the same day or next day (I do not schedule 4 hour sessions on short notice). Do not text, please, leave voice message or send an email.